Cibdol CBD Oil Olive Oil 4% 30ml. Cibdol CBD Oil is one of the most natural and purest CBD oils available on the market today. 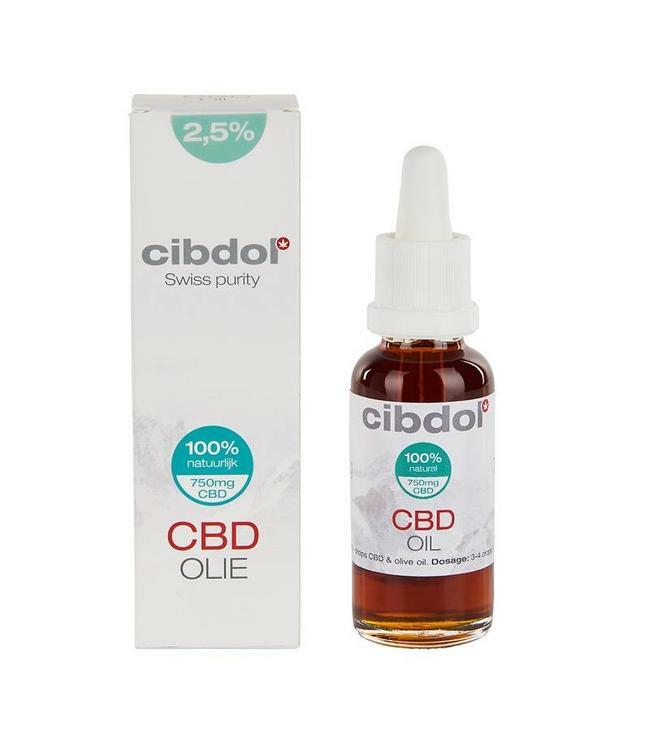 Cibdol uses only the purest ingredients in the production of it's organic CBD oil and only the best naturally grown hemp is used Read more..
Cibdol is a respected European producer from Switzerland. Cibdol CBD Oil is one of the most natural and purest CBD oils available on the market today. Cibdol uses only the purest ingredients in the production of it's organic CBD oil and only the best naturally grown hemp is used for the CBD oils they produce. The CBD products contain no additives, chemicals or other impurities. Cibdol CBD Oil is available in different strengths. In this way experienced and health concious users can dose the CBD Oil according to their personal needs. This way you always have the right CBD intake based on your personal need. Cibdol CBD Oil 4% is a nice average oil strength. This is a good middle way compared to the other 2.5% and 10% CBD oil products. Due to the strict norm that Cibdol upholds in combination with the legislation of the European Union, Cibdol has a beautiful line of beneficial and natural products. The production of Cibdol CBD Oil ensures that its users can take CBD without the unwanted psychedelic effects of cannabis. Why CBD Oil with Olive Oil? The health effects of dietary fat are controversial. Experts, however, agree that olive oil, especially extra virgin, is good for you. Extra virgin olive oil is quite nutritious. Apart from the beneficial fatty acids, it contains noteworthy amounts of vitamins K and E. But olive oil also has a rich amount of powerful antioxidants. These antioxidants work in a natural way to reduce the risk of chronic diseases. They also fight (chronic) inflammations and help protect your blood cholesterol from oxidation. These are two benefits that can reduce the risk of heart disease. Extra virgin olive oil is packed with antioxidants, some of which have very strong biological effects. Chronic inflammation is thought to be a major cause of conditions such as cancer, metabolic syndrome, arthritis, heart disease, type 2 diabetes, Alzheimer's disease, and obesity. Extra virgin olive oil can inhibit and reduce (chronic) inflammation, which can be one of the most important reasons for the health benefits. The most important anti-inflammatory effects are hampered by the antioxidants. The most important anti-oxidant inhibitor is oleocanthal, this has been shown to work in a way similar to ibuprofen, a drug that also acts as an anti-inflammatory agent. Research also suggests that oleic acid, the most important fatty acid in olive oil, can lower levels of important inflammation starters such as C-reactive protein (CRP). Olive oil contains many nutrients that fight (chronic) inflammations. These include oleic acid and also the antioxidant oleocanthal. Where it all comes down to is that olive oil is incredibly healthy because of the antioxidants and its anti-inflammatory properties. It is one of the healthiest fats! A dietary supplement may not be used as a substitute for a varied, balanced diet or a healthy lifestyle. Keep out of reach of children. Don't use when pregnant or breastfeeding. Keep out of sunlight, hot and moist enviroments. Store the product in a dry and cool place. Shake before use. 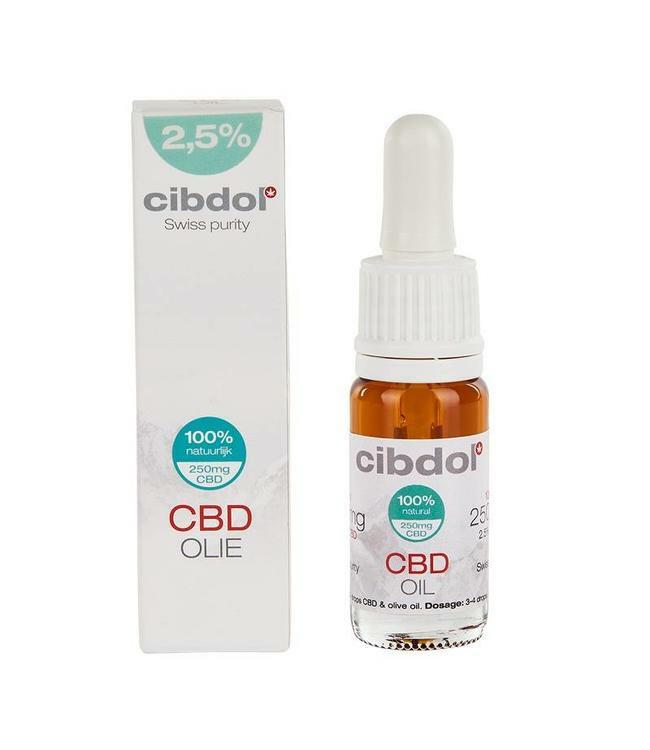 Cibdol CBD Oil Olive Oil 2,5% 10ml. Cibdol is one of the lea..
Cibdol CBD Oil Olive Oil 2,5% 30ml. Cibdol is one of the lea..
Cibdol CBD Oil Olive Oil 4% 10ml. 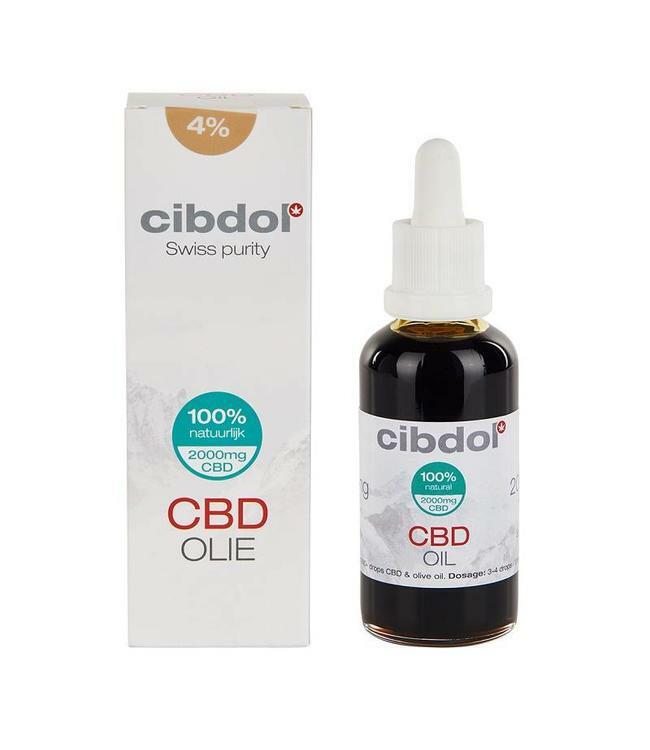 Cibdol CBD Oil is one of t..
Cibdol CBD Oil Olive Oil 4% 50ml. Cibdol CBD Oil is one of t..